DR. KEVIN D. PLANCHER earned his Bachelor’s degree in chemistry and biochemistry from Trinity College in Hartford, CT. He then went on to earn his Master’s in Science in Physiology and Doctorate in Medicine from Georgetown University in Washington, DC. Dr. Plancher completed his residency at Harvard University’s Combined Orthopaedic program. He then went on to complete two post-graduate fellowships, the first at The Indiana Hand Center focusing on hand and microvascular surgery. The second was at the world-renowned Steadman-Hawkins Clinic, focusing on sports medicine and reconstruction of the shoulder and knee. Dr. Plancher lectures globally on issues related to orthopaedic procedures and sports injury management. He most recently chaired the “Orthopaedic Summit in Evolving Techniques”, a national conference attended by over 550 orthopaedic and sports medicine physicians in an effort to teach evolving techniques and treatments in sports medicine. 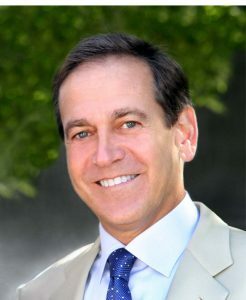 Dr. Plancher is a Clinical Professor in Orthopaedics at Albert Einstein College of Medicine in New York and is a member of many prestigious national and international societies and associations, and is a founding member for the Educational Enhancement Fund of the American Academy of Orthopaedic Surgeons. Dr. Plancher is a leading orthopaedic surgeon and sports medicine expert with extensive knowledge in knee, shoulder, elbow, and hand injuries. He specializes in treating anterior cruciate ligament tears and shoulder injuries, which he sees frequently as a physician for the U.S. Ski Team and former Head Team Physician for Manhattanville College and League Physician for Major League Lacrosse. His minimally invasive procedures include: partial knee replacements, arthroscopic rotator cuff repairs, arthroscopic Bankart repairs, and endoscopic elbow release for severe tennis elbow. He also specializes in total and reverse shoulder, and knee replacements. Dr. Plancher developed the arthroscopic technique for releasing a nerve for posterior shoulder pain. He has a keen interest in adolescent sports injuries and injury prevention for young female athletes. In addition, Dr. Plancher is the Fellowship Director of an ACGME accredited sports medicine program in NYC and CT. In 2001, he founded “The Orthopaedic Foundation for Active Lifestyles,” a non-profit 501 (c) (3) foundation focused on maintaining and enhancing the physical well-being of active individuals through the development and promotion of research and supporting technologies. OFALS runs health-education seminars for individuals with arthritis; sports injury prevention; and rehabilitation for “weekend warriors.” His campaign, “Educating our Kids for a Pain Free Tomorrow” brings young scholars to the Foundation’s BioSkills lab for the “Doctor for the Day” program where they operate on synthetic limbs and use simulated surgical techniques. The foundation also participates in clinical trials, and Dr. Plancher serves as principal investigator in a five-year study involving cartilage replacement.